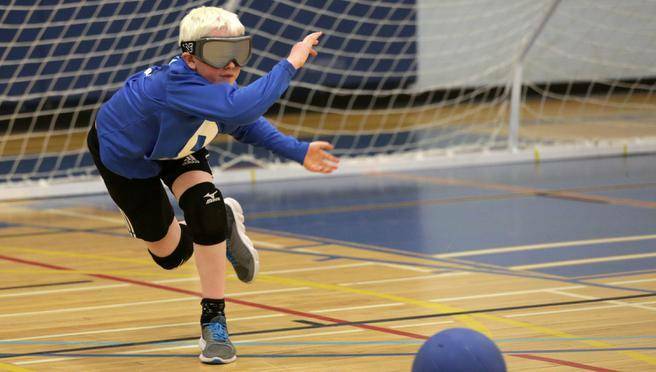 Youth Goalball – A program for kids ages 8 to 14 runs Thursday evenings from 6 to 7:15 p.m. starting October 4th at APSEA (5940 South St, Halifax). Want to check it out or want more info? Email us at info@blindsportsnovascotia.ca. We hold regular practices and recreational scrimmages, usually from September to April each year. If you’re interested in checking out a practice, setting up a program in your area, or just want to learn more about how it works, please Contact Us! Our athletes compete in regional, national, and international competitions, alongside experienced coaching volunteers. 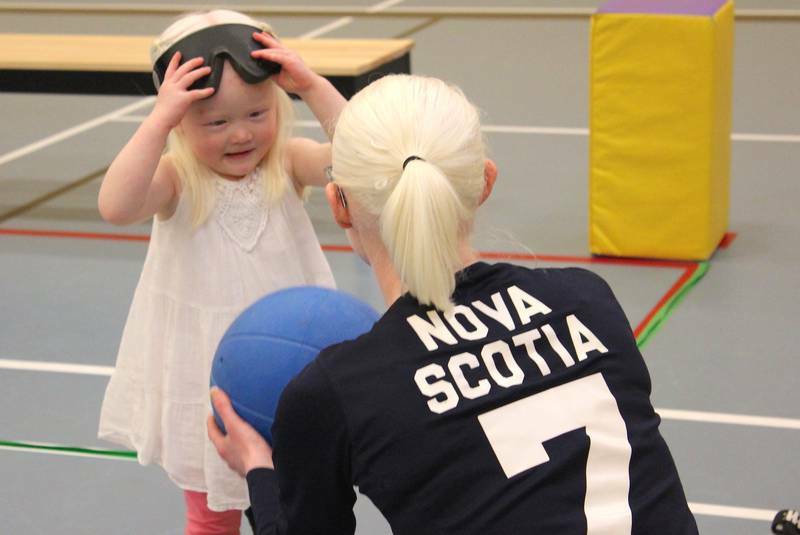 We also host an annual international Open Goalball Tournament in Halifax. We’ve had the pleasure of hosting Senior and Junior Canadian National Goalball Championships, Team Canada Testing, Goalball Officials certification, and more. Check out more of our photos on Facebook. We hold demonstrations & information sessions throughout Nova Scotia! If your school, business, or group are interested in trying giving goalball a try with our coaches & athletes, please Contact Us! What is goalball, anyway? We get this question a lot and we don’t mind at all! Thanks to the United States Association of Blind Athletes for the fantastic video describing the awesome sport of goalball. Check it out! 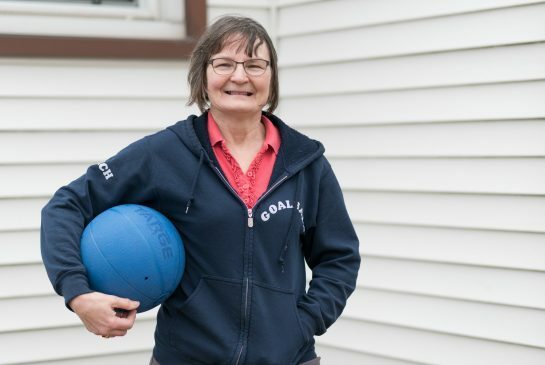 Courtesy of Paralympic.ca: Goalball is a sport exclusive to athletes with visual impairments, played by both men and women. Played in a gym court, the objective of the game is to throw the ball using a bowling motion into the opponent’s net while the opposing players try to block the ball with their bodies. The 1.25 kilogram ball has noise bells which help orientate the players.